At IKEA, we don't believe in perfect homes. We believe in homes that are a perfect reflection of the people who live inside. Where everything looks the way you want it to & works the way you need it to. 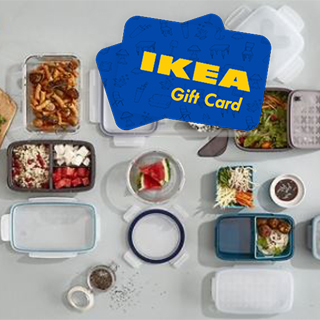 IKEA offer ready-to-assemble furniture, kitchen appliances and home accessories at truly great prices. There are numerous showrooms and over 9000 articles in store, offering inspiration for every room in your house! With a free crèche and a delicious restaurant in store, you can easily lose a day wandering the aisles of the world’s largest furniture retailer! 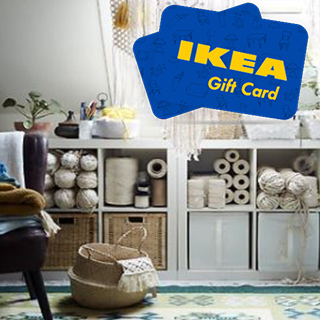 How it Works: Use this gift voucher on AllGifts.ie to order gift cards for use in the IKEA Dublin store. Or you can swap this voucher for any other gift or voucher listed on AllGifts.ie. 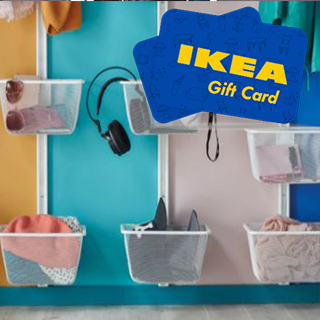 IKEA Dublin gift cards are posted out free of charge once ordered. Bus: The store is serviced by Dublin Bus routes 13 (bus stop located on Balbutcher Rd) & 140 (bus stop located at the side of the store on the access road). Check out www.dublinbus.ie for timetables and route planner. Bike: IKEA have over 50 bicycle parking spaces. These are located at the Customer entrances. A cycle lane on St. Margarget’s Road connects to the Ballymun cycle lane. Car: If coming from the M50 take the Ballymun exit (junction 4). At the roundabout, take the 3rd exit towards Ballymun. Then take the first right and follow the road until you see the signs for IKEA, take a right into the car park. 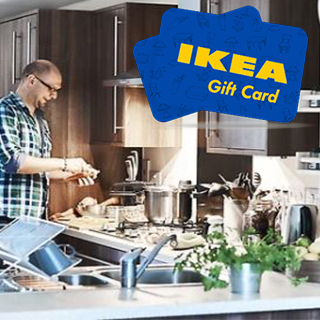 Ikea gift cards are available in denominations of €50 (eg. €50, €100, €150, €200 etc). 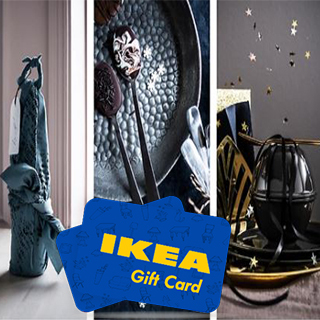 Minimum gift card value is €50. 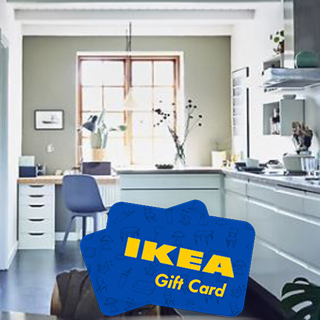 IKEA Gift Cards are posted out free of charge, normally within 5 working days.